Check it out. Think it over. Give us a call. The best advertising for a wedding photographer is their photos and honest reviews which tell us much more than any promotional slogans can. Was the work with the photographer conducted in a relaxed atmosphere? Did the photographer meet expectations? Are the photos original and do they express emotions? Were the photos delivered on time? Is it worth choosing this offer? Fleeting Moments Photography is absolutely brilliant! Good and easy communication from the start to the end. Quick reply to all emails and flexible to requests. A pleasure to work with on the wedding day. No stress and no demands. The option of a framed photo taken and ready on the day as a gift to parents is very special. The quality and variety of the photos taken are better than what we hoped for! Not only ours but also the emotions of our family and guests were captured and help us relive the memory as often as we wish! We are over the moon with our wedding album! A 5 star recommendations well worth your money and time! Myself and Seamie want to thank you both from the bottom of our hearts for the amazing job that you did. We were blown away by the quality of the photographs that you took. Im sure every wedding couple feels like their wedding day is a fairytale and the photos you took capture exactly that. You were an absolute pleasure to have there on the day and we never felt uncomfortable or stressed especially since neither of us especially like being in front of a camera. Because of you both we have photographs that we can now treasure forever. I want to start by firstly thanking these two wonderful photographers for their amazing work to make a fleeting moment one we will never forget. Piotr and Aurelia are experts in their field and produced an album we will treasure forever. They are professional beyond all expectation. On the day, they were so relaxed they made everyone feel comfortable. I would highly reccomend them to future brides and grooms and I can promise you wont be disapointed. We recieved our album in a matter of weeks and six months on we still take it out regularly to admire its perfection. Piotr and Aurelia you will be forever in our debt! All our love and thanks. We hired Fleeting Moments Photography for our wedding on 28th of October 2017. From start to finish they were highly professional, friendly and great to deal with! Our photos were so natural and really captured the memories of our day! We were delighted with the final result and would highly recommend them to anyone looking for a wedding photographers in Dublin. We were married in Kilkenny on Paddy’s Day, 2015, and had the absolute pleasure of having Peter as our photographer. We knew what we wanted in our wedding photos; natural, low key, flowing photos and that’s exactly what we got. I enquired through numerous photographers and felt at absolute ease when I made contact with Peter. Although we lived in Australia, it made no difference. The communication leading up to the actual day was brilliant and we all met the day before the wedding. Peter was just fantastic, he had great ideas for locations, photos and so open to our thoughts too. He made us very relaxed in our first meeting, so much so we weren’t even nervous about that part of the wedding. Peter caught so many great, natural moments and made our wedding day something utterly special for all that attended to remember. We’re coming up to 3 years this March and our photos look like they were taken yesterday, they’re simply perfect. We were absolutely blessed to have found Peter to capture our amazing day in which we will cherish always. Thank you Peter, you gave us so much more than we could have ever expected. AMAZING! Peter and Aurelia are amazing photographers, completely reliable and so professional. I received one of the most beautifully produced albums I have seen in record time too. I’ve been recommending Fleeting moments to all of my friends that have just gotten engaged as we were so happy with every aspect of our dealings with them. Everything they did from start to finish has been so professional. From booking, the range of services they provide, a relaxed stress-free attitude on the day itself and also the speed of the finished album has been flawless and produced to utter perfection. Fabulously talented photographers. From the 1st evening we met Peter. He was friendly, very polite and well groomed (as always). Peter is highly organised and looking through his previous work with him, put us at ease with that feeling that we were in the hands of a true professional. If you do decide to choose Fleeting Moments as your Wedding Photographer you will not be disappointed. We went through every aspect of our day in advance and listed the most important moments that we wanted to be captured on the day. We found that on the day itself, both Peter and Aurelia, were very discreet and captured some really beautiful, natural photographs and reactions of our guests at different stages during the day, that many were unaware of. These are particularly nice to look back on now. We were still on honeymoon when I received an email advising that our gallery was ready for viewing and we were so impressed with how promptly he had them ready for us. We just received our finished albums (presentation of USB was fab) and we are absolutely thrilled with the finished product! We cannot recommend Peter highly enough. His attention to detail and professionalism made us confident at all times that one thing we would not have to worry about was our photograher and he proved us right. – Thank you both so much, you have been an absolute pleasure to deal with. I highly recommend Fleeting Moments Photography for any brides-to-be out there! Peter is outstanding at what he does, a true professional! On our wedding day, he was such a gent & a pleasure to work with! There was constant communication between us & him in choosing the type/style of photos. His attention to detail is excellent! We loved his documentary style approach in his work, capturing those special moments throughout the day!! When we received our wedding album we were blown away! Not only did we receive a beautifully personalised album, but also a gorgeous wooden scented keepsake box with some of our printed wedding photos & a USB containing all our photos- a very thoughtful touch! Get booking, you won’t be disappointed!! Thank you so much for being our photographers on our wedding day. From start to finish everything was just perfect. Myself and Donal never felt under pressure when you were around, we were extremely relaxed and enjoyed ourselves emensely. All of our guests still talk about how much fun the photo booth was and how much they liked the special touch of getting copies of the pictures there and then to take away with them. Our albums are just perfection. All we can say is WOW! They are absolutely stunning and turned out even better than we could have ever imagined. You captured the day so perfectly and it is so nice to have the pictures to look back on our day and be able to remember it so vividly. For anyone who is getting married or looking for a photographer I would highly recommend that they talk to Peter and Aurelia. You were professional from the very start and we instantly knew we could rely on you to capture our special day as we wished. One huge factor for us for our wedding day was that we wanted to relax and enjoy the day without feeling like we were being photographed every second. You blended in so well and took so many natural shots of our day both of our bridal party and our guests. You were very accommodating in everything we asked of you and we were beyond thrilled with the end result. Many of our guests complimented your work on the day and your professionalism. The photo booth was a big hit with our guests and we loved the fact that everyone got a copy of their own photo aswell as a copy for our book. The album itself was the icing on the cake for us and we cannot thank you enough for the wonderful job you did capturing our special day. We wish you continued success with your career. Thank you so much for capturing some truly amazing moments during our recent wedding day in Kinsale. The turnaround was super quick & it was fabulous to relive the day when we got the link to the online gallery just 3 weeks after the wedding – and to see the full picture & story of our day unfolding from the early morning preparations to the late night dancing!! I don’t know how you managed to capture everything but you did & I couldn’t be happier with the results! I was looking for a certain type of photography to capture our special day and when I came across your page online, I just knew it was right for us & booked immediately! On the day, you blended in with our guests & captured some really natural moments along the way, which is what we wanted, very little posing and feeling fake, but pictures of the real emotion & enjoyment of the day. The added surprise of receiving the USB of images contained in a beautiful wooden box with a handful of my favourite pictures & pot pourri was really going above & beyond! You have been a pleasure to deal with at all times and I wish you continued success making couples happy in the future! Our warmest regards & thanks. We knew that after the mass is said and the cake is cut the memories and pictures are all that you have left of your wedding day. With this in mind we really put a lot of thought and energy into finding a great photographer. Our research led us to Peter and it didn’t take us long to realise that he was the photographer for us. From the moment we met Peter he put us at ease. He is courteous, friendly and professional. He was a dream to work with; very quick to respond to all of our questions and queries, offered great packages and most importantly he slotted in seamlessly with our (large and at times chaotic!) families. Peter captured our day beautifully; from the bridal preparations to the first dance and everything in between (including a carousel ride)! We have the most stunning formal and informal pictures that we are beyond thrilled with. All of guests loved the “photobooth” and Peters relaxed style. Our album was ready in no time and to say we love it is an understatement. It is absolutely stunning and the quality is fantastic! The only difficult part was trying to decide which pictures to include in it! We really can’t thank Peter and his beautiful wife Aurelia enough and have already recommended him to everyone we know! What a natural talent! Thank you, thank you, thank you! Maria & Cathal, Kilkenny. Colin and I really cannot recommend Peter highly enough. From the moment we contacted him about a year before our wedding up until recent when we received our albums he has been an absolute pleasure to work with. He is extremely organised and professional and we felt at ease with him in the lead up to the wedding and of course most importantly, on the day itself. He worked really well with our videographers and made sure all of our precious moments were captured perfectly. Our photos and albumns turned out really beautiful and we are so glad we put our trust in Peter for our wedding day. Best of luck in the future. We cannot thank you enough for everything since our journey began with you. What can I say, when we met you last year we knew we had made the right choice. From the moment you arrived on the morning till late that night you made the whole experience relaxed, we didn’t even know you were there for some pictures. Nothing was too big an ask on the day, no matter what we requested you were always obliging . Not only did you make the day easy but you also made choosing the pictures and album a piece of cake. I was absolutely blown away when I received the pictures back and even more excited with the arrival of our album. It is an experience I will never forget, it is like reliving the day all over again. The attention to detail is out of this world and we cannot wait to look at it over and over again. I will never hesitate to recommend you to anyone. Thank you so much for being a part of our Special day. Thank you so much for capturing our wedding day so beautifully. From the moment we first contacted you, till the day we got our wedding album, you have been nothing but professional and a pure gentleman. On the wedding day itself you and Aurelia were so discreet and made everyone feel so at ease. You were very accommodating when I requested a few pictures that I wanted during the day and I love the mix of formal and candid shots. The photo booth was brilliant and everyone enjoyed the shenanigans and loved that they got a copy of their photo booth pics. When you sent us the wedding pictures, I was blown away by the colours and found it very hard to pick just 80 for the album as there was so many fabulous pictures to choose from. I cannot put into words how much I love the wedding album and the parents albums. I was blown away by the layout, quality and finish, and everyone who looks at it comments on how beautiful it is. Overall, from start to finish you have both been an absolute pleasure to work with. Any queries I had leading up to the day were answered swiftly and gave me great confidence leading up to the wedding. We haven’t hesitated to recommend Peter and Aurelia as wedding photographers. Their professionalism and their talent are second to none. Thank you so much for capturing our special day and presenting it in such a beautiful way. It’s hard to put into words how grateful we are to Peter for his truly amazing work on our wedding day. From the first moment we met Peter he was an absolute gentleman and was so professional and friendly. On the day he was so relaxed which put us both at ease and we hardly even realised he was there which is exactly what we wanted, getting loads of natural shots but also the family portraits too. We are absolutely delighted with our photos and the album is beautiful. We would recommend Peter without a moments hesitation to everyone! I met Peter at a friends wedding, he was doing their photography and I was the best man, and having spoken with him early in the day I knew he was an absolute gentleman, so when it came to choosing a photographer for our own wedding, we gave Peter a call. And we were not disappointed. 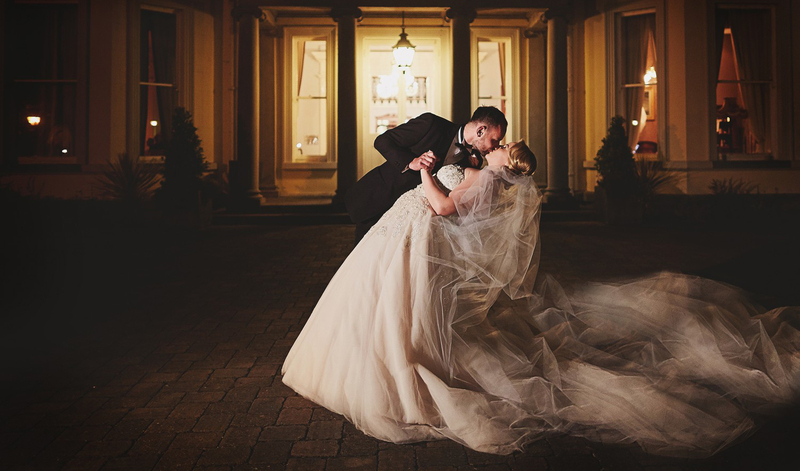 From the initial meeting, the whole way through to the wedding day itself over 12 months later, Peter was extremely helpful with his advice and was only ever an email away and very quick to respond to any queries we had. On the day itself, he was such a relaxing, easy going presence – he let everyone do their own thing, at times you’d be wondering if he was taking pictures at all! But he caught everything we wanted him to catch and a whole lot more! There is art in his pictures and when he sent the files across for choosing what pictures we wanted for our album we were amazed by the quality and how much he’d taken. Having chose the pictures we thought that was that, only to be further blown away by the delivery of the albums, UBS and a few nice extra’s that were so beautifully presented and above and beyond what we expected. It is obvious that Peter takes immense pride in his work and we cannot be happier that we chose him, nor can we recommend him enough to anyone else. A truly excellent service from start to finish, a great photographer and an absolute gentleman, highly highly recommended! We are both so delighted we went with Peter for our wedding. We wanted someone who would capture all the emotions of the day and all the bits we didn’t notice at the time! Peter really blended in and managed to get some incredible shots of us and our guests. The pictures that we didn’t know we’re being taken were AMAZING! We love that we have all our photos on a USB to share around with our family and friends. We also opted for an album too which was excellent quality. Peter we can’t thank you enough for doing such an amazing job and capturing every element of our special day so effortlessly. From the moment we met you we were at ease and knew immediately we were in good hands. You were so easy going but professional on every level. The day of our wedding the weather was absolutely horrendous! I’m sure I don’t need to remind you! However offering to come down to Dungarvan again after our wedding to take more pictures was such a kind gesture, one that we will be forever greatful for. It was a genius move as we both really enjoyed putting back on our glad rags, and we got amazing photos too! I genuinely can’t recommend you highly enough. From your approachable and easy going manner to your skill with the camera. You are truly talented. Wishing you all the best in the future Peter. Wow, we were completely blown away when we received our wedding albums, you have completely outdone yourself!! You were a joy to have around on the big day, so many people commented on how fantastic you were and how you blended in seamlessly and as for the finishing product… we couldn’t be more delighted that we chose you. Thank you for capturing these amazing moments and for all your patience and hard work. The photo booth went down a treat also on the day and by the evidence in that album plenty of smiles and laughs were had, thank you for making it all happen and capturing these special memories which we have forever now. WOW!! We are absolutely blown away by the photo’s Peter. Simply beautiful. Thank you so much for everything on our wedding day – you are an absolute pleasure to be around and made our day very relaxed and very special. Everyone was raving about you and now we have perfect photos to remind us of all our wonderful memories. THANK YOU! We received the albums this morning, they are FANTASTIC and exceeded our expectations, thank you so much!! From first meeting you, you’ve been a pleasure to deal with and very professional. You have captured some fantastic memories that we will treasure. You were recommended to us by a friend and we will definitely be recommending you. Who is actually a good wedding photographer and how to find him?